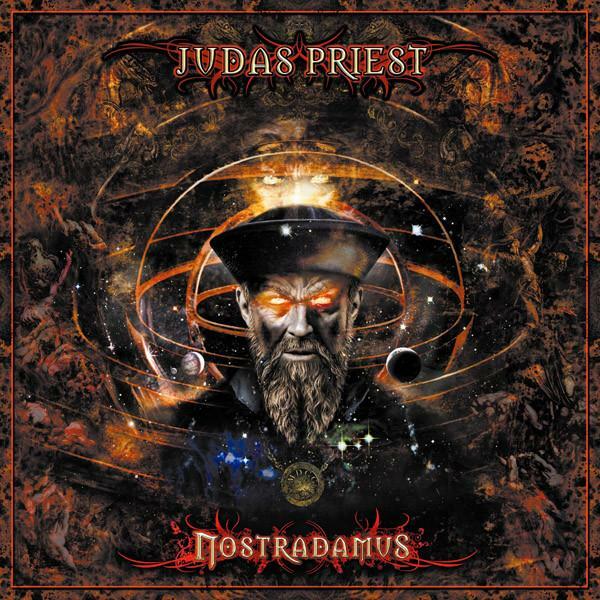 JUDAS PRIEST will release their long-awaited 16th studio album “Nostradamus” on June 13th, which deals with the life and the prophecies of the writer Michel de Nostredame, who lived in the 16th century and who was a controversial figure. This concept album will be released as a double CD in a jewelcase, as an extensive deluxe DIN A5 digibook and as a special box set, which contains the album as a 3-LP edition as well as the double CD, a 48-pages-book and a poster. This release will be accompanied by several release-parties in metal clubs throughout Germany. Soon after the release, JUDAS PRIEST will play two indoor concerts in Düsseldorf on June 23rd and in Munich on June 24th. They will also be the headliner of the Bang Your Head festival in Balingen on June 28th.